How Sturdy are Solar Panels? Enough to withstand the extreme weather conditions we sometimes have here in north Georgia! 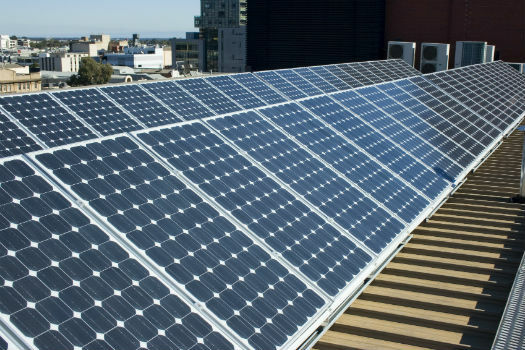 Quite simply, solar panels are very durable. Their “vital parts”, the silicon wafer substrate and solder linkages beneath the surface, are protected by their tempered glass covering and anodized aluminum frames. In fact, they will likely last far longer than even their warranted power production service life, which most leading manufacturers now offer up to 25-30 years. And even at that point, it isn’t as though they simply ‘stop working’. Solar panels very sloooowly “wear out”, and we’ve seen ones of 20+ years in service that are still making power. Just not as much as they once did! As for any concerns with “fragility”, nothing short of perhaps a direct hit by a large falling limb should do damage to your panels. Very small stones (including hail), rain, bits of debris and other such wind-blown occurrences really shouldn’t affect them. Panels of course are subject to one major thing: The security of their mounting. This is where you want to assure that they are matched appropriately with racking that is both for your type of roof, and the panels themselves. And while some things are becoming more “generic”, or mix & match among components, you have rightful concerns for who it is that’s securing your new PV system to the roof of your building. Southern View Energy assures you that the time it spends, and the manner of installing the system on your roof is with the utmost care. Properly securing it as well as respecting your roof structure integrity is a point of pride with us.